Lynx wallpapers for your PC, Android Device, Iphone or Tablet PC. If you want to download Lynx High Quality wallpapers for your desktop, please download this wallpapers above and click «set as desktop background». You can share this wallpaper in social networks, we will be very grateful to you. 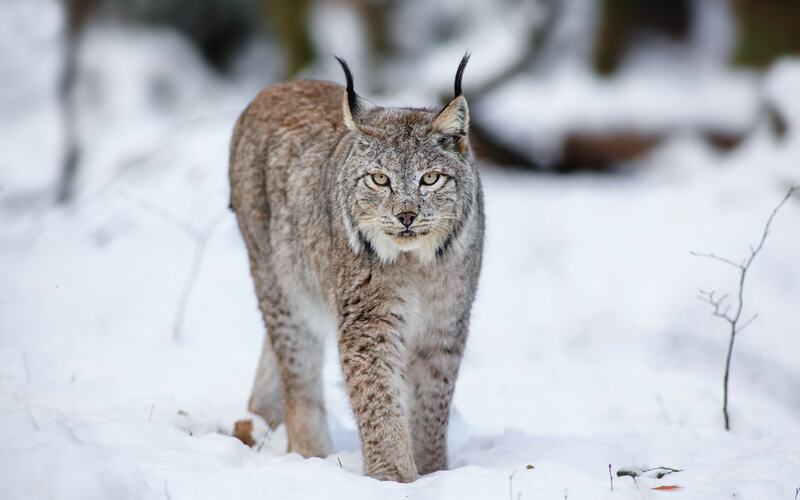 Lynx – large predators that despite their size are closely related to conventional wild cats and domestic cats. 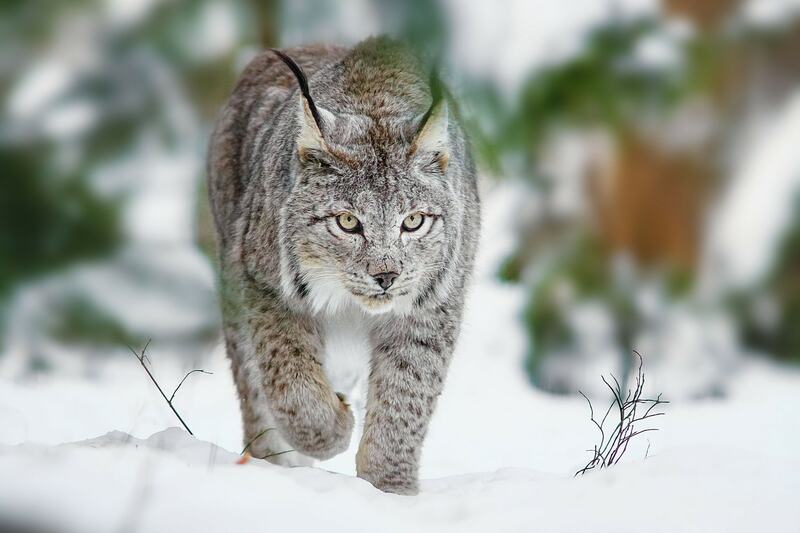 In total there are 4 types of the lynx – an ordinary Canadian, and Spanish red. These species are similar in appearance and way of life. 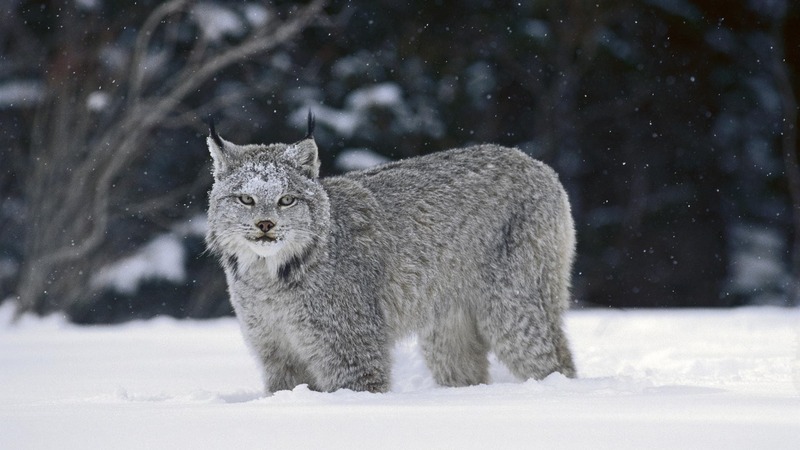 The appearance of the lynx is quite different from other cat species. This beast the size of a medium dog: body length can reach up to 1 m, weight of 5-7 kg (from bobcat) to 12-20 kg in other species. Trunk in these animals is relatively short, and long and wide feet simultaneously. Distinctive features of these cats are short, thick tail and big ears with tufts of hair on the ends. On these grounds at once can accurately distinguish the lynx from the other cats. Fur in all species of lynx is quite thick, long hair on the cheeks forming “whiskers”. Painting of red wool or c grayish black or brown spots. In contrast to the leopard spots rare lynx and distributed evenly throughout the body. The tip of the tail is always black. 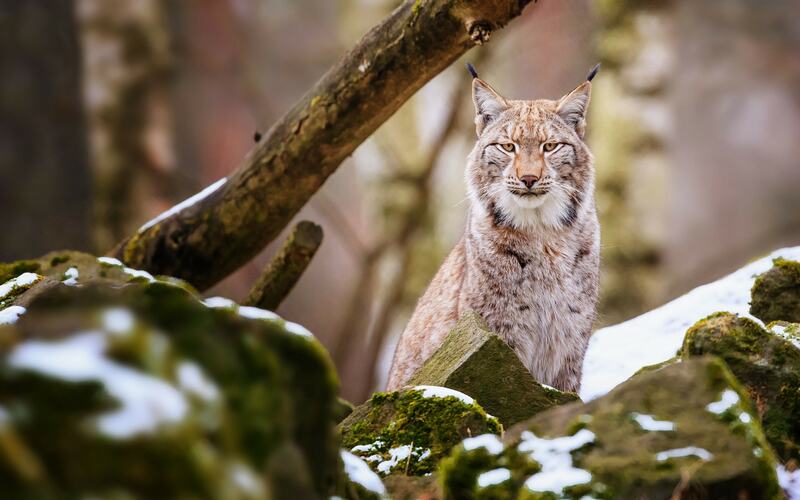 The range of these animals is located in the northern hemisphere – the lynx can be found at the European expanse, Asia and North America. 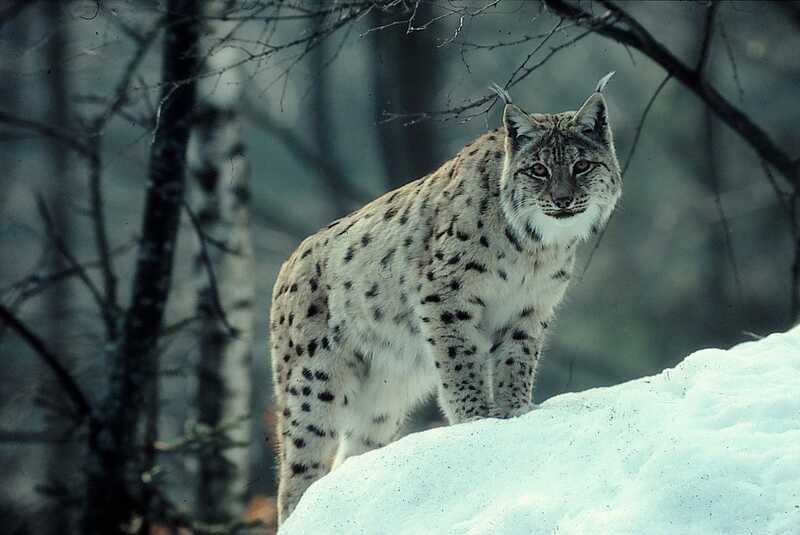 In the north area of the spread of lynx comes to the Arctic Circle, in the south it borders with the subtropics. 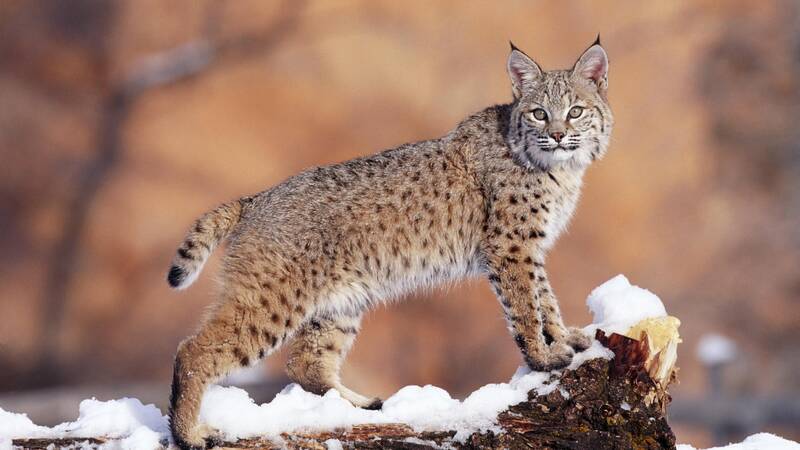 All kinds of lynx – forest dwellers, and only a red lynx can be found in the deserts of the southern United States. 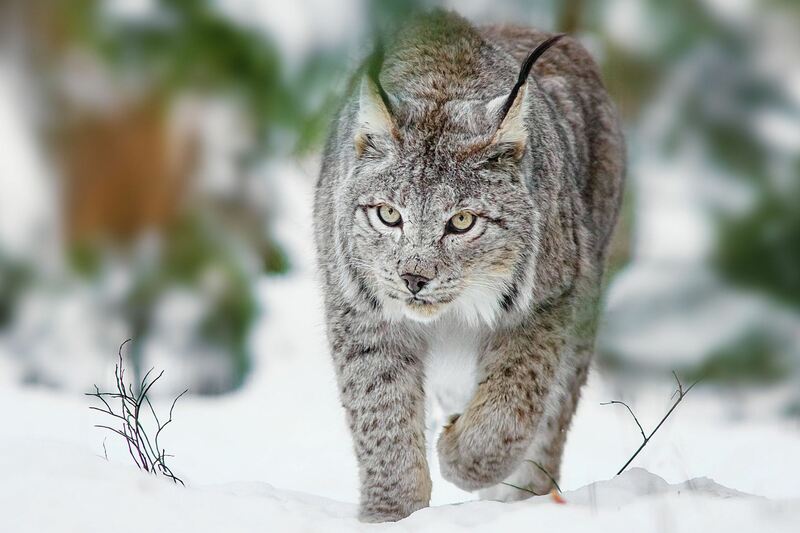 Ordinary Canadian lynx and prefer to live in coniferous forests, the Spanish lynx inhabits dry evergreen forests of the Pyrenees. Lead these animals are solitary. They are silent, reclusive and rarely catch the eyes of people. 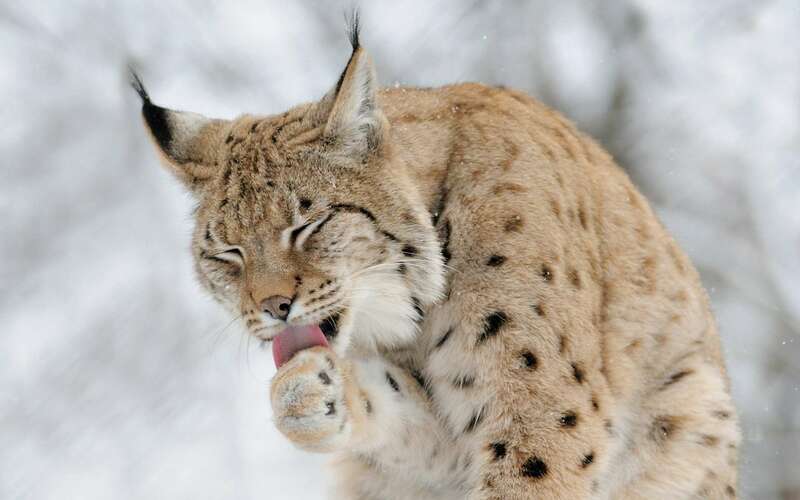 Due to the wide lynx paws do not get stuck while moving in the deep snow. 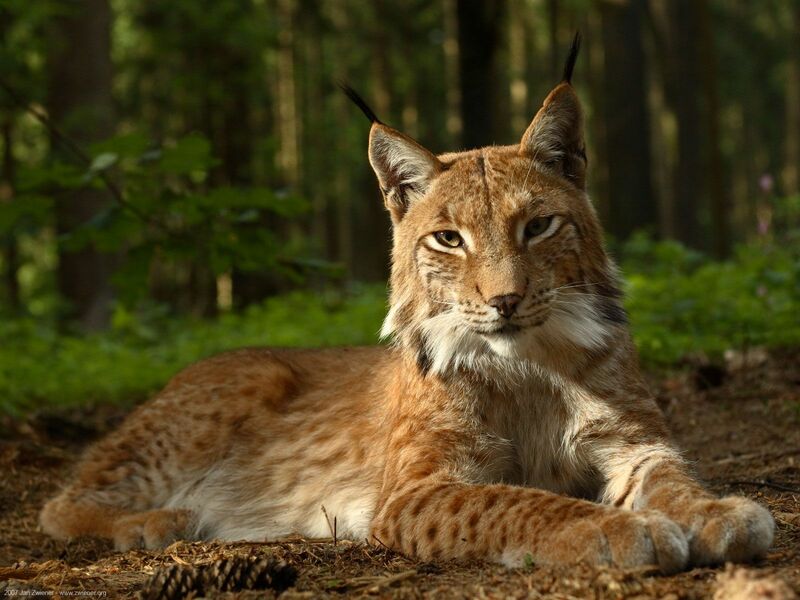 Lynx are sedentary, but the Eurasian lynx can perform migrations after the rabbits multiply massively. 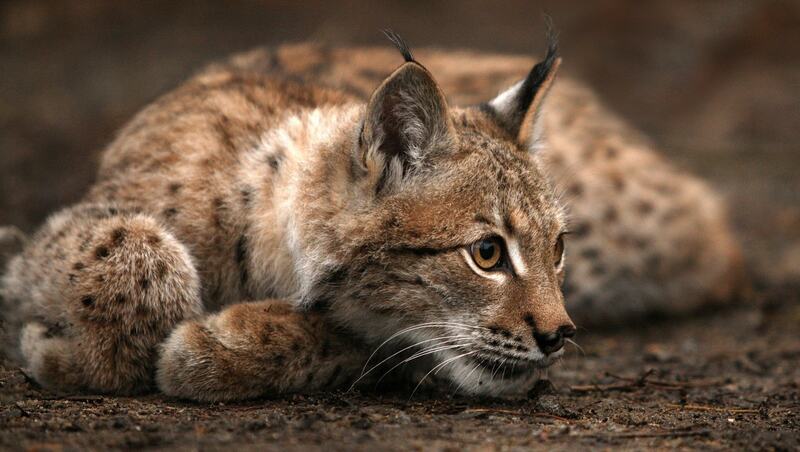 Southern species of lynx (Spanish, red) prey mainly on rodents, hares, rabbits and birds. 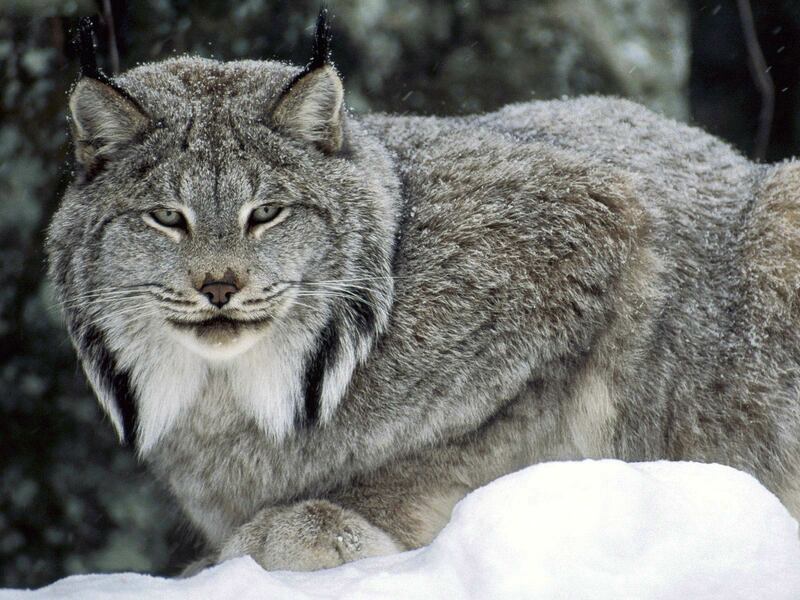 Ordinary Canadian lynx and beyond that is often included in the diet of larger animals – deer, young moose and wild boar. To kill prey much larger than themselves it helps not to force, and hunting tactics. Lynx prefer to watch their prey in ambush or stalking, and then a sudden jump jumping on the victim’s back and strangling. They take great care and patience, long vysizhivaya in wait (sometimes the whole day). 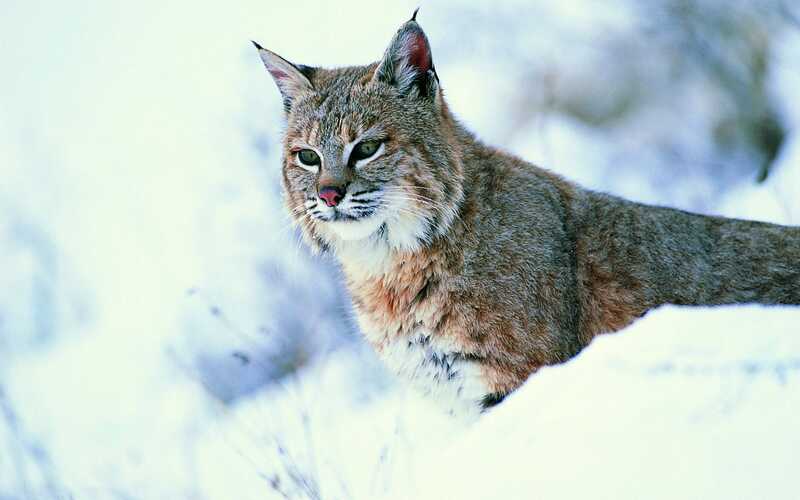 However, sometimes lynx hunt hares vzagon. 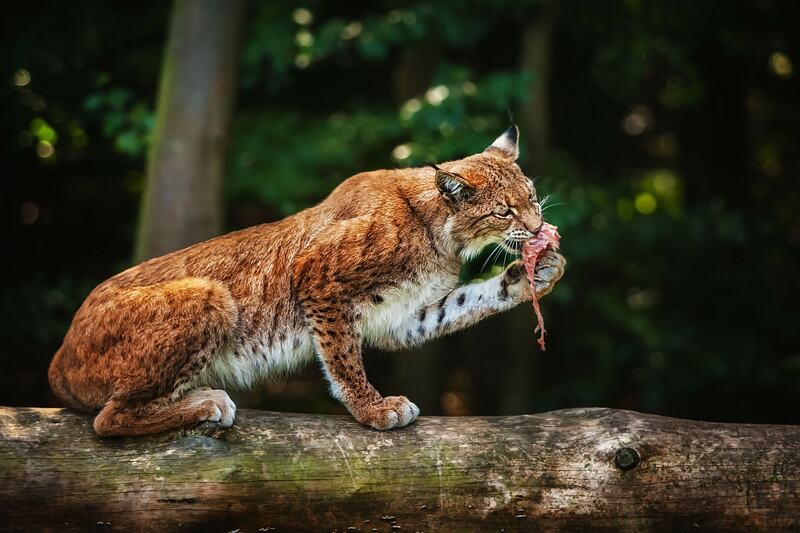 Apart from herbivores lynx can eat and small predators – martens, foxes, wild cats, and even the cubs. Propagate by lynx once a year. Gon takes place in February and March. Males begin to emit loud cries of conscription. 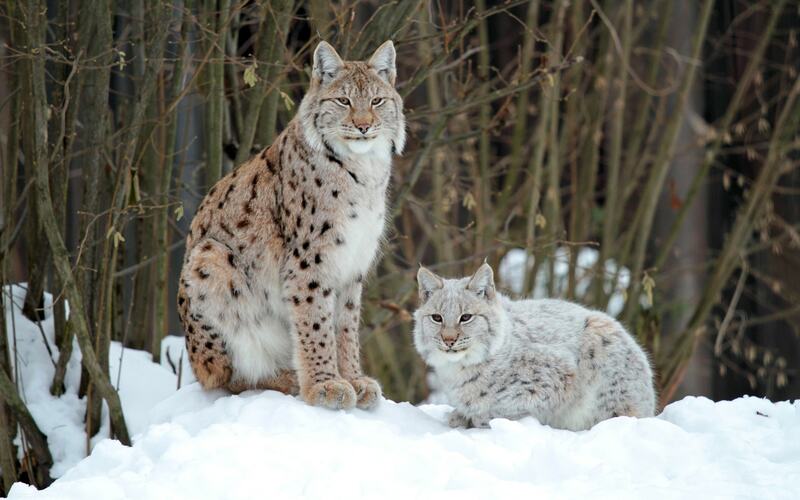 Due to the fact that the lynx live separately, they do not form clusters, even during the breeding season. Pregnancy lasts 2-2.5 months. The female gives birth in a secluded den 2-3 kittens. Mother carefully hides his shelter and protects the offspring from the attacks of other predators (small kittens until they can kill wolves or large marten). 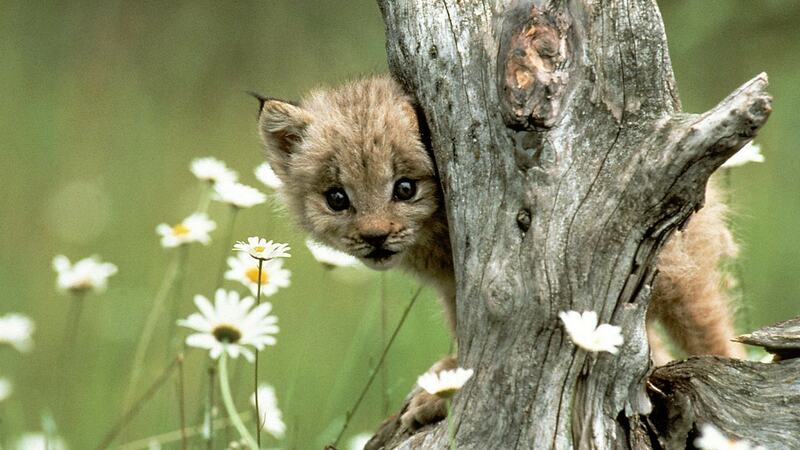 Young lynx remain with their mother until the following spring. 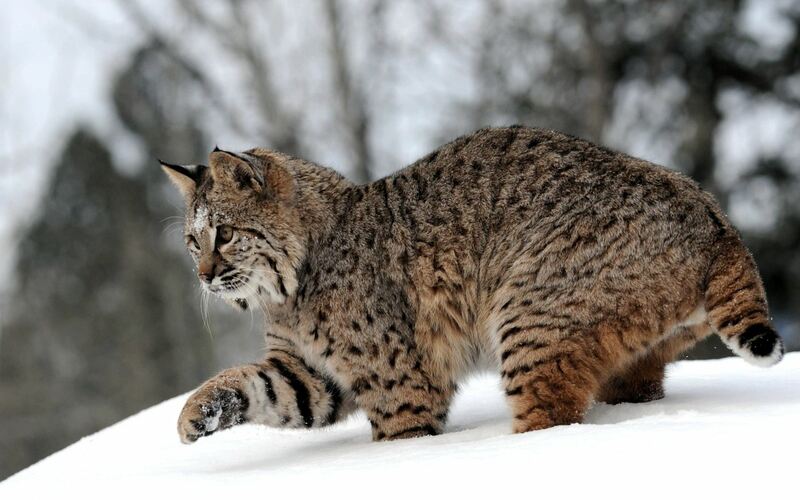 Living lynx in captivity up to 25 years, and in the nature of all 15. 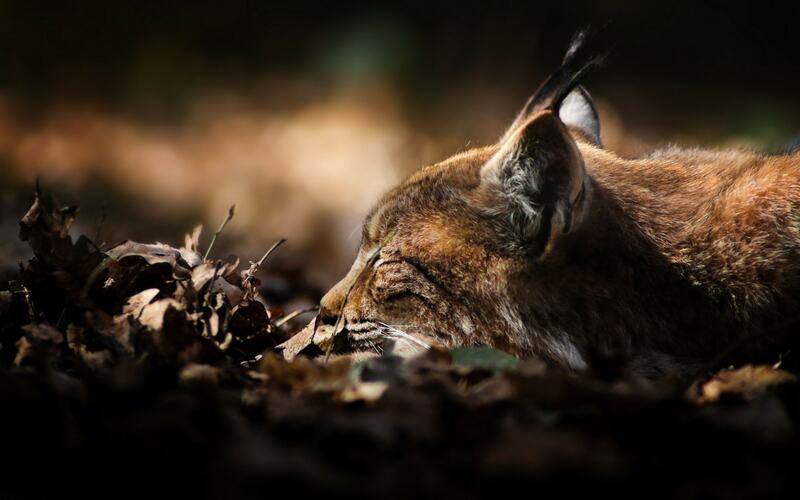 In the entire range of the lynx are relatively rare. In addition to the natural competition with other predators, they also suffer from poaching and habitat reduction. For hunters lynx has always been a valuable booty, because its fur is of very high quality. 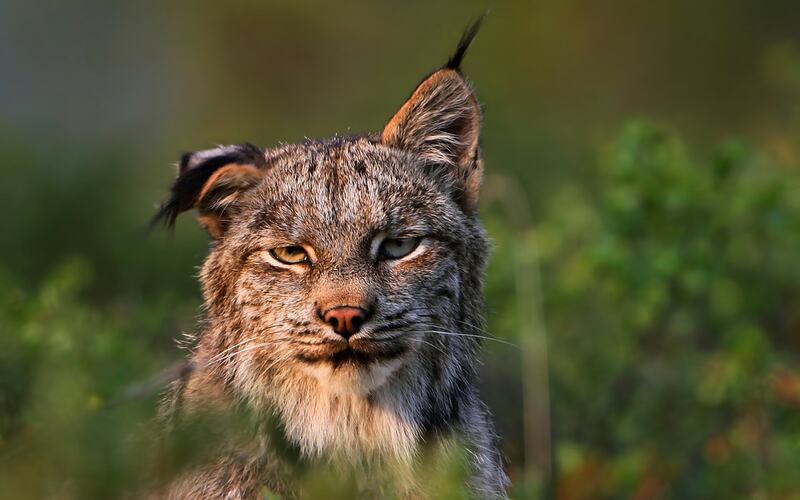 In old Russia killed lynx used even in food. 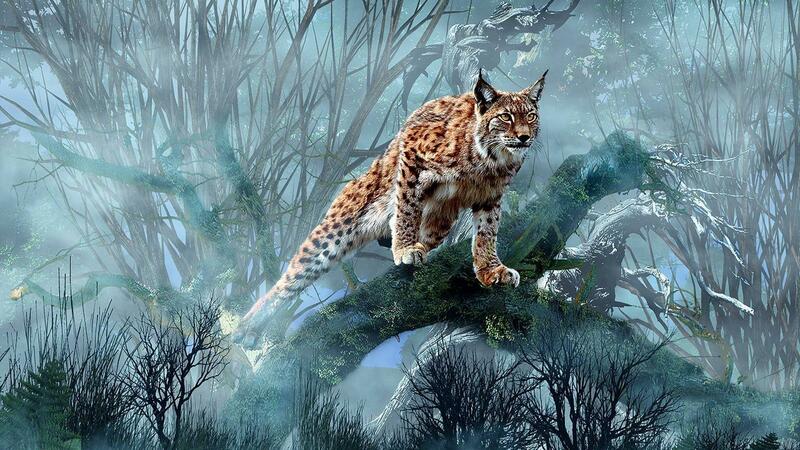 Who is the greatest concern is the fate of the Spanish lynx. Since this animal lives in the densely populated the Iberian peninsula, it is only about 150 individuals survived in remote corners of the mountain forests.